As a student majoring in biology at Hokkaido University 60 years ago, I became interested in fertilization because it links one generation to the next. Most importantly, fertilization creates individuals whose genomic makeups are different from parents and all of their ancestors. In mammals, the details of fertilization processes were largely unknown for many years because of the difficulty in collecting and examining live eggs under the microscope. Since C.R. Austin precisely documented the morphological details of fertilization and co-discovered the phenomenon of sperm capacitation with M.C. Chang in 1951, research into mammalian fertilization advanced rapidly. In vitro fertilization（IVF）was not only powerful for the analysis of fertilization processes, but it also served in overcoming certain types of human infertility. 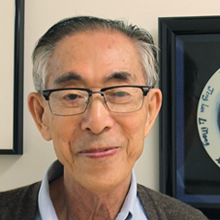 What we know and can do today for many infertile couples was not foreseen in 1960 when I began to study mammalian fertilization in Dr. Chang’s laboratory. Today, more than half of infertile couples bring babies back to their home thanks to advancements of the basic knowledge of fertilization and assisted fertilization technologies（ARTs）. It is important to note that mother Nature is by no means perfect. In humans, surprisingly, nearly one third of naturally fertilized eggs have genomic aberrations. Due to stringent “maternal selection”, less than 1% of the babies born after natural conception have congenital aberrations. Although the same mechanism works for embryos that start to develop after ART, we should better understand the genetic and epigenetic risks of ART and how to minimize them. Parents all want their children be happier and healthier than themselves. ART （including genomic therapy）should be used correctly and wisely such that all offspring born after its application are as healthy and happy as or even happier and healthier than their parents.